Must have an active student ID to register. This tech talk, featuring internationally-known roboticist Dr. Gregory Dudek, will address the deployment of robotic systems for data collection. Dr. Dudek will discuss the automated analysis of video data, and specifically video data collected underwater with an amphibious vehicle. Automated systems can collect data at astonishing rates and the timely analysis of this data is a growing challenge, especially when there are bandwidth constraints between the data source and the people who must examine the data. Dr. Dudek is specifically interested in real-time vehicle autonomy based on the summarization and detection of the most interesting events in a data stream or video. To do this, Dr. Dudek is leading the charge on developing methods that adapt to video data streams in real-time to collect important events and using them in the context of a group of vehicles that fly, swim and float. Gregory Dudek's research deals with sensing for robots, intelligent systems human-robot interaction and the development of underwater and amphibious robots. He is the Director of the School of Computer Science at McGill University, Director of the NSERC Canadian Field Robotics Network, and James McGill Chair. In 2010, he was awarded the Fessenden Professorship in Science Innovation and was also awarded the Canadian Image Processing and Pattern Recognition Award for Research Excellence and also for Service to the Research Community. 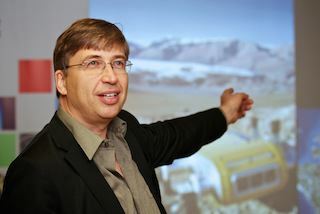 Professor Dudek directs the McGill Mobile Robotics Laboratory and has authored over 200 research publications. This includes a book entitled "Computational Principles of Mobile Robotics" co-authored with Michael Jenkin and published by Cambridge University Press and now in its 2nd edition. In 2008, he co-founded the company Independent Robotics Inc. He has chaired, reviewed and been otherwise involved in numerous national and international conferences, journals, and professional activities concerned with Robotics, Machine Sensing, and Computer Vision. 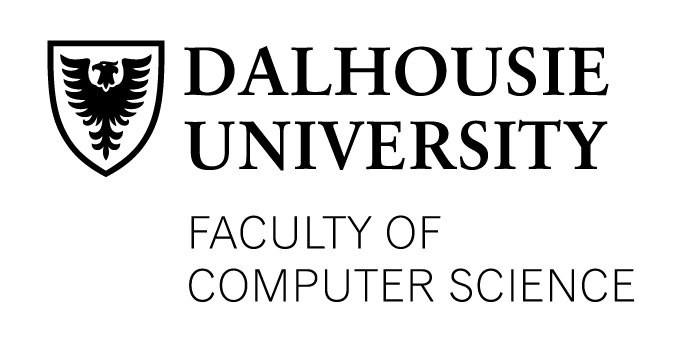 Location: Slonim Room, Goldberg Computer Science Building, Dalhousie University. 6050 University Ave., Halifax, Nova Scotia, B3H 1W5. *Refreshments will be provided. Join us following the presentation for a networking session with Dr. Dudek!